The John C. Maxwell Company L2: Learn-Lead will be presented in Huntington Beach on Friday, October 17, 2014, from 8:00 AM to 4:30 PM (PDT). LadyLaw Speaks, an Independent Certified John Maxwell Trainer, Speaker & Coach, will host this community leadership conference at the Fuzion Event Center located at 7227 Edinger Ave. east of Golden West College. This event will provide inspiration and leadership training for business leaders, professionals, school administrators, educators, college students, and community leaders. This event will provide inspiration and leadership training for business leaders, professionals, school administrators, educators, college students, and community leaders. Sponsorship and exhibition opportunities are welcome enabling businesses to boost brand awareness and generate consumer interest. Local leaders to speak include Robert Hammond, Vice President of Orange County Board of Education; Carol Mattson, Ed.D, Fullerton College; Deborah Reisdorph, Esq, Founder of BARE, Inc.; David Penrose, M.A., "The Friend Dr" and others. These speakers will engage about the Value of Leadership in Education and Creating Positive Campus Environments. For more information or to reserve your spot, visit http://bit.ly/learn2OC or send an email to deborah(at)ladylawspeaks(dot)com, or contact Deborah Reisdorph, Esq. at (714) 375-1529 x2. Proceeds from L2: Learn-Lead in Orange County will benefit BARE, Bully Awareness Resistance Education, Inc. a non-profit organization dedicated to Teaching Youth Empathy and Mindful Behavior. John C. Maxwell, world renowned leadership expert, coach and author of more than 74 leadership books will be teaching from a simulcast his newest book, Good Leaders Ask Great Questions. Linda Kaplan Thaler, Chairman of Publicis Kaplan Thaler, has been responsible for some of America's most famous, relevant and touching advertising campaigns in history. Linda will talk about how we can have GRIT, Guts, Resiliency, Industriousness, and Tenacity. Tim Sanders, former Yahoo executive, Internet pioneer and best-selling author will teach how to become people centric leaders. A non-profit corporation launched in 2011, Bully Awareness Resistance Education, Inc. is committed to teach leadership in the schools and local community. B.A.R.E. offers a variety of services to address physical and emotional violence, including leadership clubs for students, educator training, and sessions with parents and community. 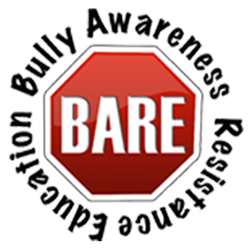 Visit http://barethebully.org to learn more. Deborah Reisdorph is an Independent Certified John Maxwell Trainer, Speaker & Coach, Attorney and Founder/Executive Director of BARE, Inc. Deborah provides workshops and Mastermind Groups using John Maxwell leadership principles. Deborah also speaks and trains groups on Leadership, Diversity, Bullying Prevention and Intervention (AB9), Sexual Harassment Training (including AB1825 training) and Topics important to our businesses and our students. Visit http://www.johncmaxwellgroup.com/deborahreisdorph to learn more.